Cytodetox™ supports the body to naturally capture and eliminate toxins throughout the body. Unlike other detox products, these drops go beyond the colon and intestines to sweep away dangerous toxins. 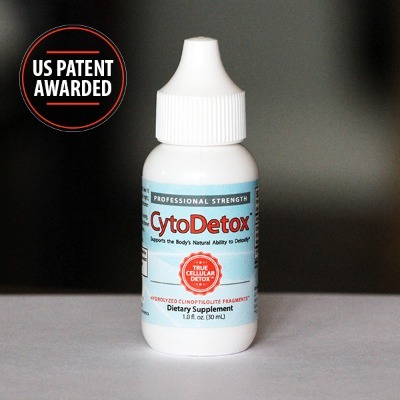 The CytoDetox™ detoxification formula provides a quick and safe whole-body detoxification formula, and is unlike any other product available on the market.